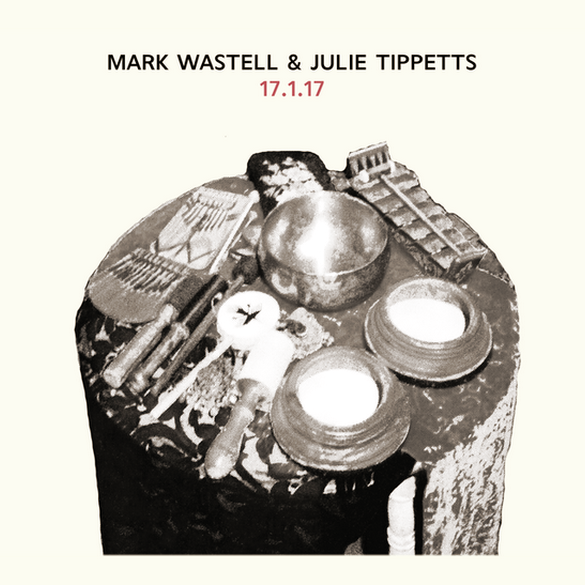 Il catalogo digitale del londinese Cafe Oto si arricchisce di una nuova preziosa pagina: 17.1.17, documentazione del concerto dello scorso 17 gennaio di Mark Wastell con Julie Tippetts. Al brano è assegnato il suggestivo titolo Unraveling the Waterfall. Strikingly sparse and meditative percussive duo from esteemed vocalist Julie Tippetts and Confront boss man, Mark Wastell. Both equipped with a wealth of percussion but perfectly restrained, the pair are near-still, bright and clear at first, until the surface of their glistening sound begins to prickle and rush with an unseen current. Tippett's voice effortlessly matches the bellows of the Wastell’s shruti box, and its gentle drone highlights her natural vocal warmth. Intimate, explorative and intuitive, each note struck or sung is turned over gently, explored, and put back down to rest - like a rare find in a rock pool.